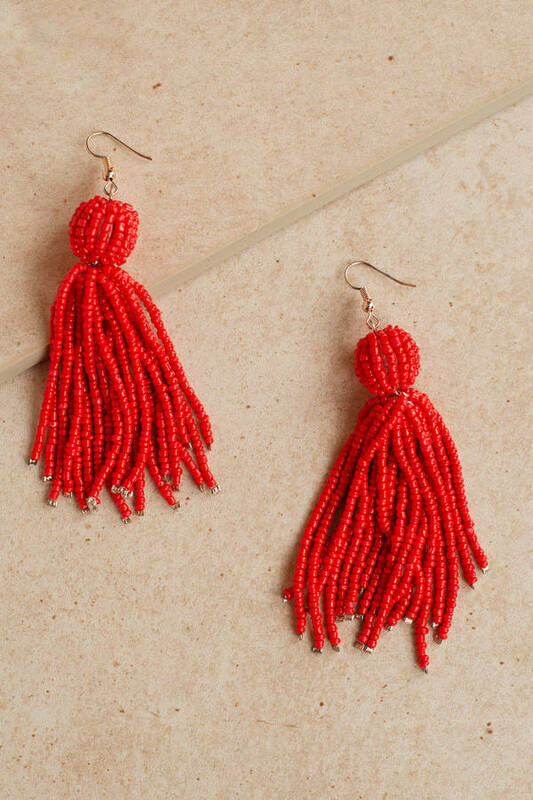 Check out Tobi's Dance Around Beaded Tassel Earrings Fun starts now. Wear the Dance Around Yellow Beaded Tassel Earrings to get your flirt on. These tassel earrings feature a french wire earring back and gorgeous beaded tassels drops. These cute beaded tassels call for an up-do to really show them off. Fun starts now. 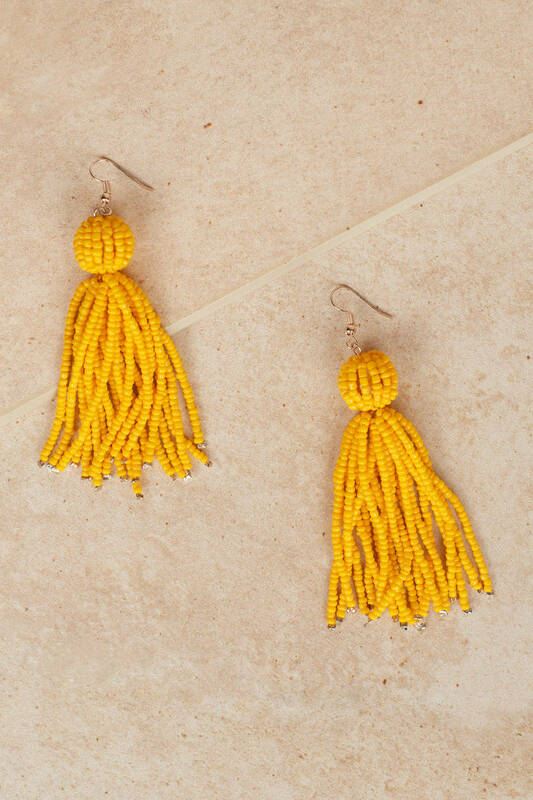 Wear the Dance Around Yellow Beaded Tassel Earrings to get your flirt on. These tassel earrings feature a french wire earring back and gorgeous beaded tassels drops. These cute beaded tassels call for an up-do to really show them off. Fun starts now. 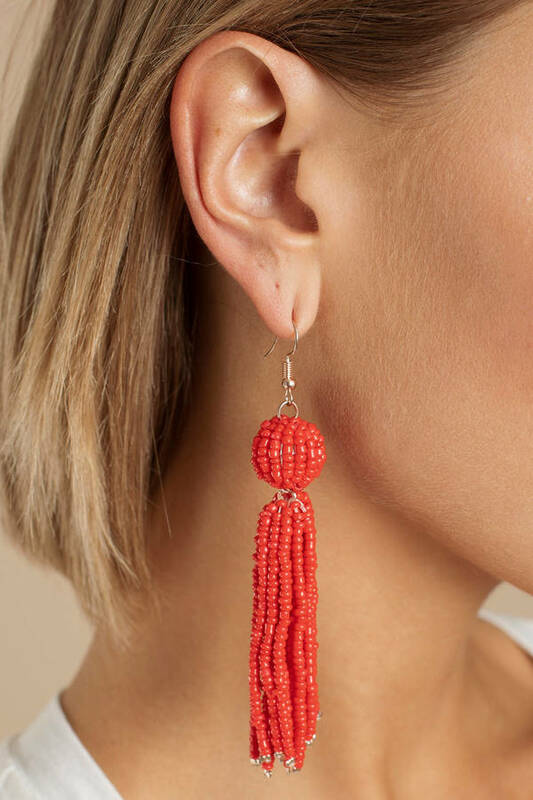 Wear the Dance Around Red Beaded Tassel Earrings to get your flirt on. These tassel earrings feature a french wire earring back and gorgeous beaded tassels drops. These cute beaded tassels call for an up-do to really show them off.